Efficiency With the Lineartronic® CVT, the EPA fuel economy rating is 32 highway MPG9, giving you over 550 miles on a full tank12. So where others’ roads come to an end, yours is just beginning. Outback 2.5i Premium in Wilderness Green Metallic. 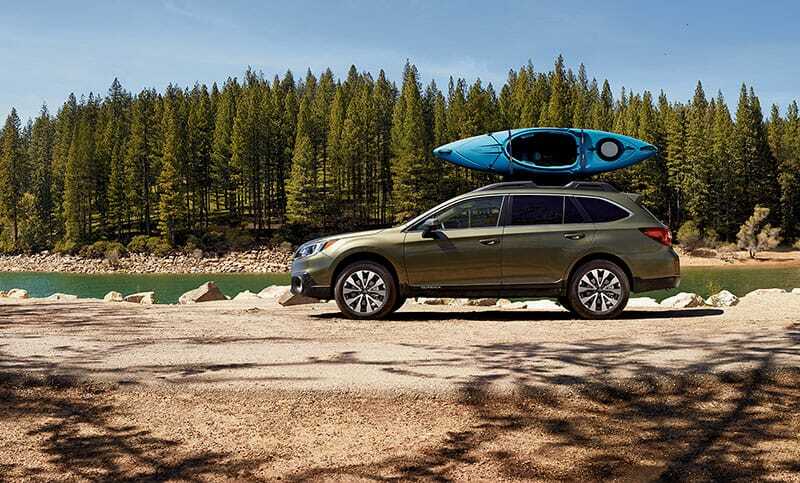 Visit your Subaru retailer for current available accessories. More Adventures Per Gallon Outback owners get out and do things, regularly. 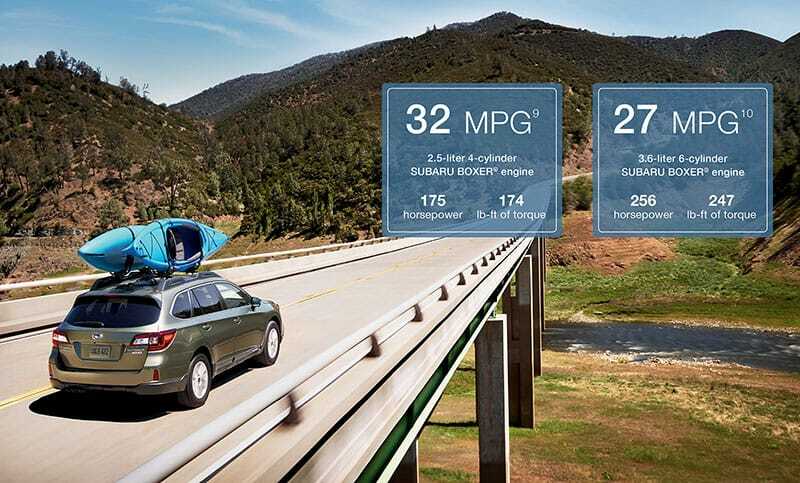 With engine and transmission options optimized for efficiency, and an aerodynamic body with Active Grille Shutters,11 it’s no accident the Outback is the most fuel-efficient midsize crossover in America.2 Knowing you’ll have plenty in the tank for the next adventure, weekend after weekend, year after year—it just feels good.